SURPRISE, Ariz. — Reliever Seth Maness has agreed to a minor league contract with the Kansas City Royals and will report to big-league spring training with a chance to earn a job in their rebuilt bullpen. Maness, whose deal was announced Monday, underwent an experimental procedure on his right elbow in August to repair a damaged ulnar collateral ligament. The injury typically requires Tommy John surgery that would have kept him out this season, but the “primary repair” operation has a recovery time of about eight months. That means Maness could be ready by opening day. 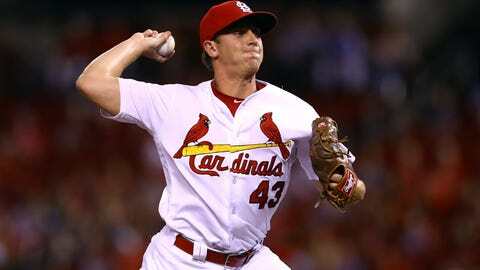 He had a successful four-year run in St. Louis, where he compiled a 3.19 ERA. That included a 2-2 record with a 3.41 ERA in 29 appearances last season.